Nowadays we hear about drones a lot; they are plane-like machines operated by remote control. However, a drone is also the male bee and, colloquially, a dull and uninteresting person. A person who lives off the work of others is also called a drone, although this meaning is rather dated now. 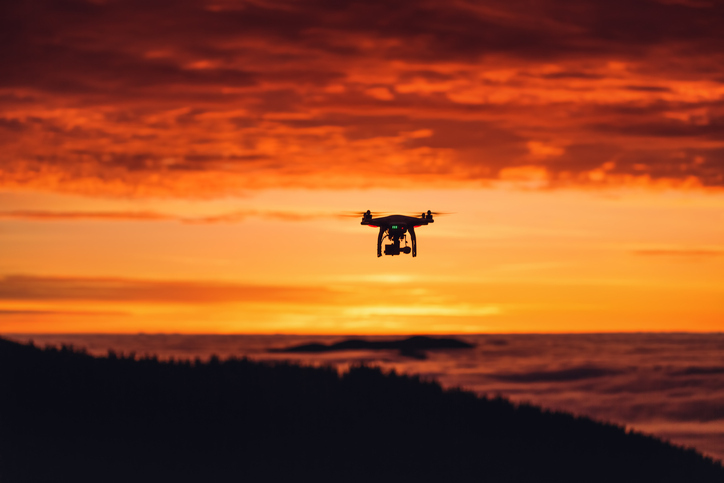 As a verb, to drone means ‘to make a monotonous and low sound’ and, often with the adverb on, ‘to speak in a monotonous and boring way.’ Related to this, another meaning of drone as a noun is ‘a monotonous low tone.’ The pipe in a set of bagpipes or a string on a stringed instrument that makes this kind of sound is also called a drone. Drones can be used to get aerial photographs or film footage of an area. When it comes to bees, the main function of drones is to mate with the queen. Don't get stuck talking to that guy if you can help it; he's a real drone. The hall was full of idlers, layabouts, and drones. It was a hot day and a fly was droning somewhere. The teacher droned on, not caring about the bored looks on his students' faces. The drone of an engine warned Tessa that someone was coming. Modern bagpipes have three drones. The remote-controlled flying machines are more properly called unmanned aerial vehicles (or UAVs). As for why they are commonly called drones, that’s a little bit more complicated. There are various theories, including the possibility that it is in reference to a droning sound they make when they fly or that, like the male bees, they are expendable (that means you don’t mind too much if they get damaged or even destroyed). However, the most likely explanation seems to be that a very early example of such a craft was created by the British Royal Navy and named the Queen Bee. A US admiral, who saw the Queen Bee demonstrated in 1935, went back to the States and asked for something similar to be created for the US Navy. When it was, the machines were named drones in honor of the original Queen Bee. We aren’t completely certain if this is the right explanation, but it’s definitely the explanation we like best! Drone, meaning a male bee, dates back to before the year 1000. The Old English dran or dron (later drane or drone in Middle English) can be traced back to the Proto-Germanic root dran-, and is probably imitative in origin (from the sound a bee makes). It is related to the Old High German treno, the Middle Dutch drane and the German Drohne. The figurative sense, ‘lazy, idle worker,’ first appeared in the early 16th century (male bees make no honey), and was expanded to mean a lazy idle person who did not need to work in the Victorian era. The meaning ‘pilotless aircraft’ is from the 1940s, and has an uncertain (but interesting) origin you can see above. The meaning ‘a deep, continuous humming’ dates back to the early 16th century, and is probably imitative of the sound. The verb related to this meaning comes from the noun and appeared around the same time.